Is it Time to Plant Yet? What you can and should not plant in April! 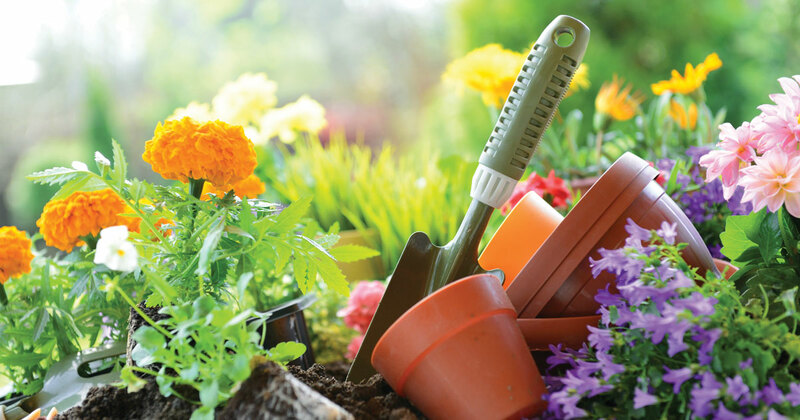 When you just can’t wait to garden, patience can wear thin when you want to get out there and start digging in, but it can be tricky knowing when’s too soon (it’s one of our most-asked garden questions). So we’re breaking down what you can plant now and what you should wait to plant…and why! Is it time to plant? Yes and no. You can plant trees, shrubs, perennials, and cool-season annuals, vegetables, and herbs now, as long as the ground is not too wet. But you should typically wait to plant warm-season flowers and vegetable plants until May 1st or Mother’s day. #1 – Is the soil too wet or is it workable? #2 – Are the soil temps and air temps (both night and day time) warm enough for the type of plants you have in mind? IS MY SOIL TOO WET OR WORKABLE? Planting in soil that’s too wet creates unnecessary compaction and causes nearly permanent damage to the soil structure, making it difficult for plants to become established and develop a thriving root system. If you are planting in the ground, easily test the soil by digging up a tablespoon size of soil and lightly squeezing it between your fingers. If the soil sticks together, it’s too wet. If the soil crumbles apart, it’s not too wet to plant. If you are planting in a container that has a high-quality potting mix or potting soil and proper drainage holes, it’s not too wet to plant. The soil type – heavier clay soils hold moisture longer than loamy or sandy soils. Organic Matter – Whether or not soil bed has been previously improved by adding organic matter. Elevation – raised beds always drain away much more quickly than level or low-lying planting areas. Sun and Wind Exposure – the sunnier and windier areas will dry out faster and be ready for planting much sooner than shady and protected areas. Are the temps low enough for what I want to plant? small fruits, berry bushes and fruit trees. Frost Advisories are typically issued when temperatures are expected to fall to about 36°F down to 32°F. Freeze Warnings are typically issued when temperatures are expected to fall below 32°F. Tender plants, like warm-season annuals, veggies and herbs, can survive a frost with protection, but are not likely to survive a freeze, so it’s best to wait until your area’s frost-free date. Hardier plants that are used to cooler temperatures, like trees, perennials and shrubs, should survive both a frost and a freeze, so these can be planted earlier than tender plants. Some annuals (pansies, ranunculus, violas, stock, etc) and veggies (seed potatoes, onion sets, broccoli, cabbage, etc) are more cool-tolerant, and can withstand lower temperatures. You can often be plant these sooner, such as around early-mid april. Provide protection for your tender plants, by covering them with sheets, blankets or Harvest Guard. Remove them once the weather has warmed. Move your planted containers to areas of protection, like under a porch or in the garage. The safest thing you can do is move your tender plants inside, especially during a freeze. When’s our area’s frost free date? Our area’s average frost-free date is the end of April, this is typically when we’re in the clear. But our hard frost-free date May 1st or Mother’s Day. This is when you’re officially in the clear. ← Plant Features with Jessica From Proven Winners!